Make the story simple and light. You know as light as killing of the first born can be. Last year we made hand puppets leading up to the week of passover and Neva loved the creative process. It made her excited to tell the story. If you don’t feel like making a craft we love these finger puppets from etsy. order by the 12th to get these adorable finger puppets in time for passover. 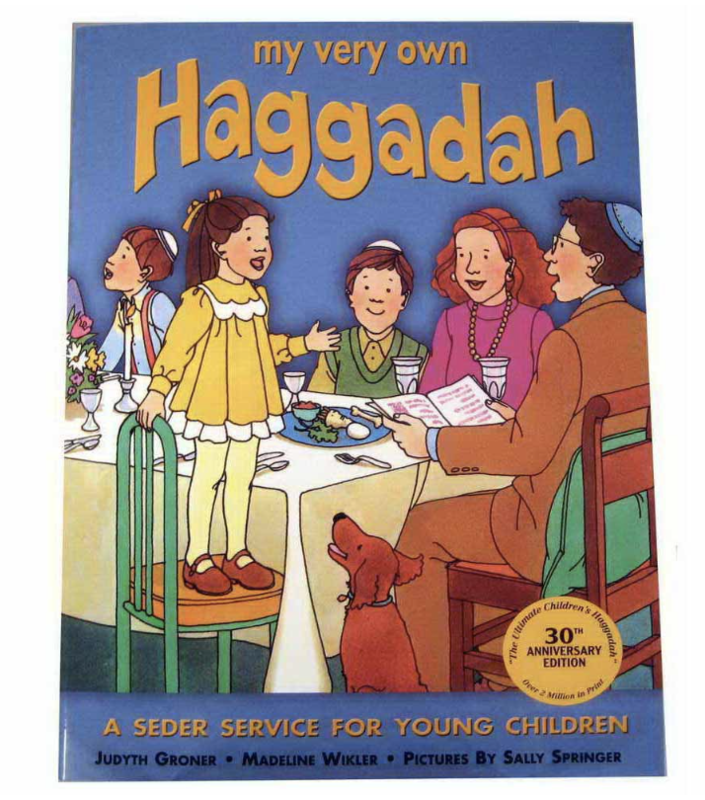 There are so many Haggadah’s to choose from. This year we are opting for this very kid friendly option. We love our Kids Kraft Shabbat set so I was so excited to try out this seder set this year. One of the more fun parts of passover..the cups of wine! We love Martinelli’s Sparkling apple cider and use a miniature wine glass for the girls on all special occasions.